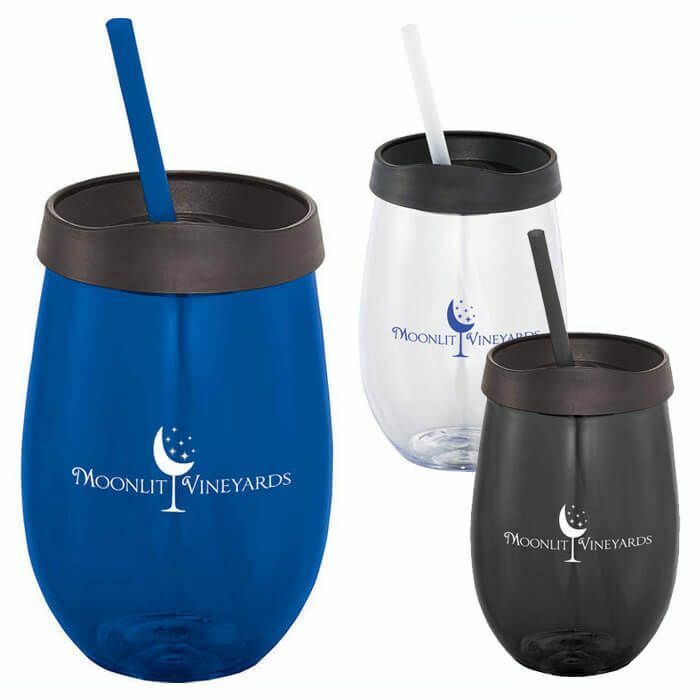 Single-wall stemless tumbler with press-on lid and matching straw. Straws included, not inserted. Hand wash only. Imprint Area One Color: 2.00" H x 2.50" W; Multi Color: 2.00" H x 2.00" W.